These Traditional Christmas Cookies from Naples, Roccoco Biscotti are the perfect dunking cookie. 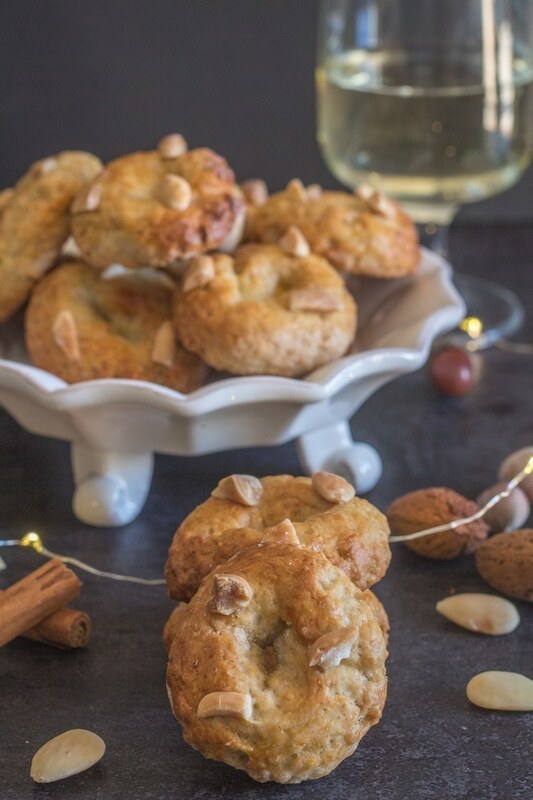 A fast and easy cookie recipe that is full of almonds and so tasty. 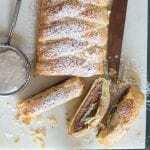 Serve with a glass of wine, Spumonte or even a cup of tea or an espresso! An Italian Christmas is very different then the Canadian one I grew up with. No stuffed Turkey, mashed potatoes and gravy or even Shortbread! But I have to say I can’t complain about the Roast Lamb, Crepe Cannelloni, Panettone or Biscotti. Including these Simple but very tasty Roccoco Biscotti. 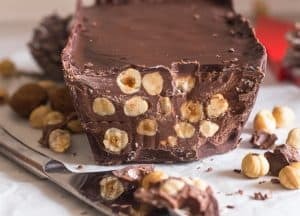 Where do Roccoco come from? 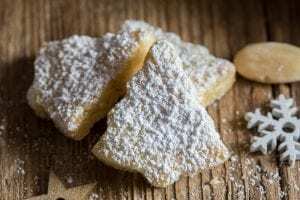 These cookies are originally from Naples and are served at Christmas Time, preferably with a class of wine, Spumonte, Limoncello or Marsala or if you prefer a cup of tea. Interesting to know, the longer you bake them (without letting them burn) the harder they get. I bake mine for about 18 minutes and they are neither hard nor soft. Although they could have gone another 3-5 minutes if you prefer harder biscuits, I have even heard an extra 10 minutes! They are not a terribly sweet cookie, but have a distinct fall taste and aroma. It’s best to store these cookies in an air tight container and they will keep for up to a week. Toast the whole almonds, remove about 10 to top the biscotti with. The remaining almonds coarsely shop. 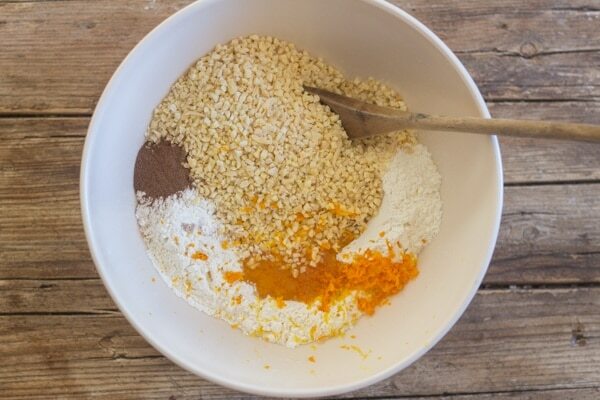 In a large bowl add the flour, make a well in the middle and add the sugar, honey, chopped almonds, allspice, baking powder and the lemon and orange zest, stir to combine. 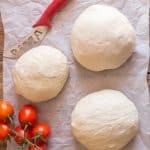 Add the water a little at time until you have a soft, compact dough that isn’t sticky. Knead a few times on a lightly floured flat surface. 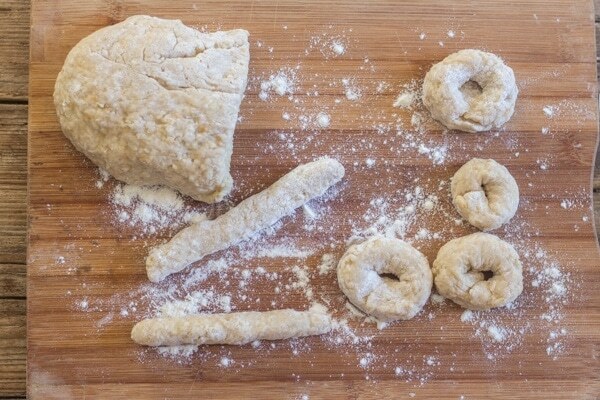 Remove pieces of dough and roll into about 4 inch ropes, then form into circles. 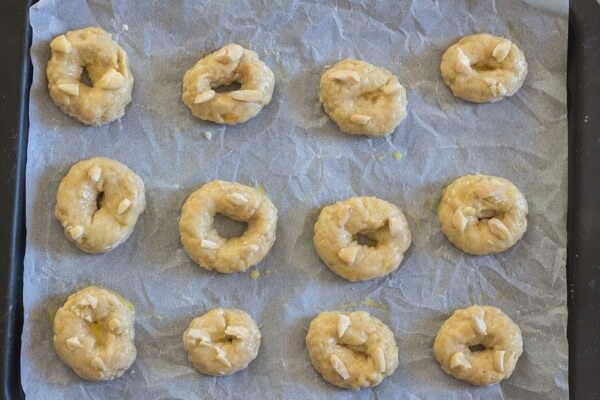 Place the circles on a parchment paper lined cookie sheet. 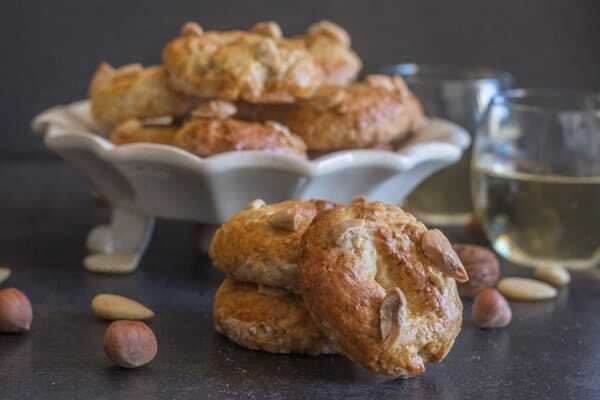 Brush the cookies with an egg wash.
Cut remaining almonds into large pieces and place 3 pieces on each cookie. Bake for about 18-20 minutes. Preheat oven to 350F (180C), spread the almonds in an even layer on a cookie sheet, bake for about 8-12 minutes, stir the nuts 2-3 times while baking. Remove the nuts from the oven and immediately transfer to a clean plate. Do not let the nuts cool on the cookie tray or they could burn. The traditional Naples Roccoco Recipe calls for an ingredient called Pisto. 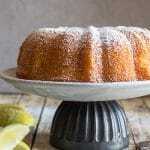 Which is a combination of cinnamon, nutmeg, pepper and cloves. I was not able to find it where I am, and I wasn’t going to go all the way to Naples to get a jar of spice, although Pizza al Napoletana, I wouldn’t say no to! So I came to the conclusion that all spice would be the perfect substitute, and that is what I used. 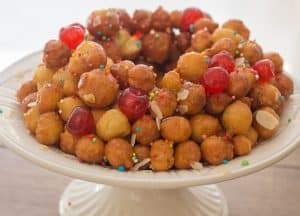 So whatever you bake for your Christmas Celebration be sure to include something traditionally Italian. Enjoy! These Traditional Christmas Cookies from Naples, Roccoco Biscotti are the perfect dunking cookie. 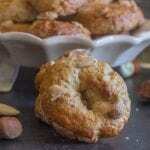 Almonds a fall spice make them perfect. Pre-heat oven to 350F (180C), line one or two cookie sheets with parchment paper. 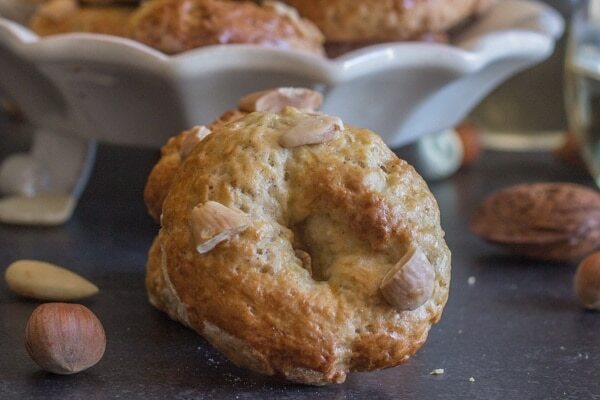 Place the almonds on a cookie sheet and bake for 8-12 minutes. Stirring the almonds 2-3 times during baking time. 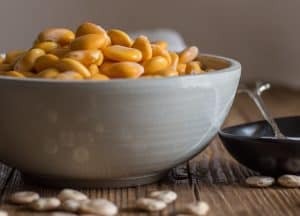 Remove the almonds from the oven and immediately place in a clean bowl to cool. 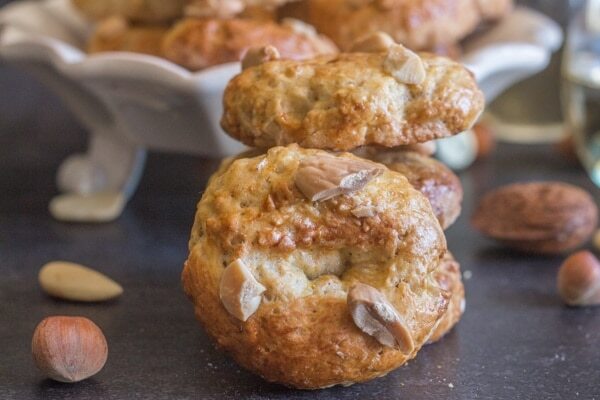 Once cool, remove 10 almonds, chop each almond into 3 pieces and set aside. The remaining almonds ground coarsely. In a large bowl add the flour, make a well in the middle and add sugar, honey, ground almonds, all spice, baking powder and zest. Stir to combine. 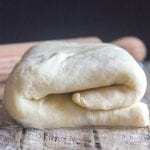 Add the water a little at a time and and stir and bring together until almost combined, then move to a lightly floured flat surface and knead a few times until you have a compact soft, but not sticky dough. Cut off pieces of dough and make 4 inch (10 cm) long ropes, form into circle shapes, overlapping one end a little on the other. Place cookies on prepared cookie sheets, brush with egg wash and top with 2-3 pieces of almonds. Bake for approximately 15-20 minutes. Let cool before serving. Enjoy! In a small bowl beat together the egg and water.